Home MTAANI NEWS Kiambu floats Ksh. 200,000 tender to compose county anthem, design flag. Kiambu floats Ksh. 200,000 tender to compose county anthem, design flag. 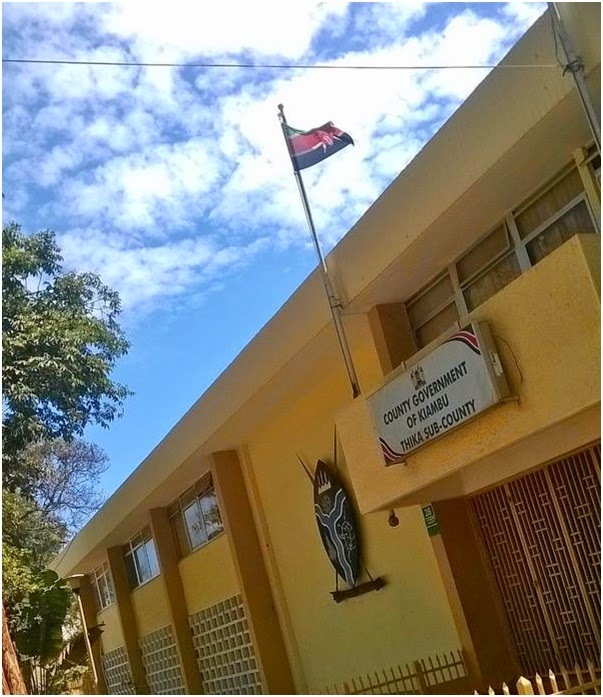 The Kenya National flag hoisted at the Thika Sub-County offices. Kiambu wants to have their own county flag, anthem and court of arms. Kiambu has floated a KES. 200,000 tender to compose an anthem that will be used by the county government as its official song. In an advert on one of the local dailies on Friday, the devolved unit also invited participants to bring in ideas on designing the county flag and the county Coat of Arms. Winners of the three categories will walk home with KES. 50,000 for the county flag, KES. 50,000 for the Coat of Arms and KES. 100,000 for the county anthem. According to the advert, to qualify for the competition, one must be a resident of the county. However, the entry/entries must not be similar to either the national or county’s flag, coat of arms or the national anthem. The notice further requires that all entries for the county anthem composition be submitted in both soft (mp3) and written words, with the participants giving a brief explanation in either English or Kiswahili language, the meaning of or the reasons for choosing a particular symbol, colour or song composition. All entries should be submitted by the 31st of August 2018. “Guided by the spirit of devolution and the love for our beloved County of Kiambu, the residents of Kiambu county are invited to participate in a competition for purposes of developing the Kiambu county flag, anthem and Coat of arms, there is no prescribed age limit for this competition,” read part of the advert. If successful, Kiambu County will become the first county in Kenya to have a local government anthem. In 2017, Kakamega County Assembly become the first regional House to pass a Bill that allows it to have an anthem. Kakamega County Flag, Emblems and Names (Amendment) Bill 2017, sponsored by the executive, will enable the county to include the anthem in its instruments of power.